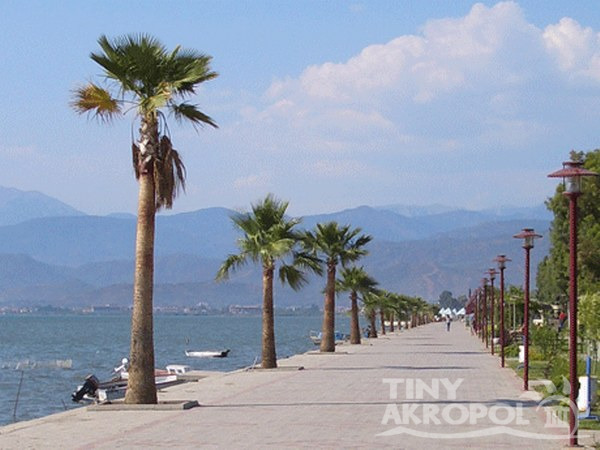 Fethiye is one of the most popular resorts due to its extreme loveliness. 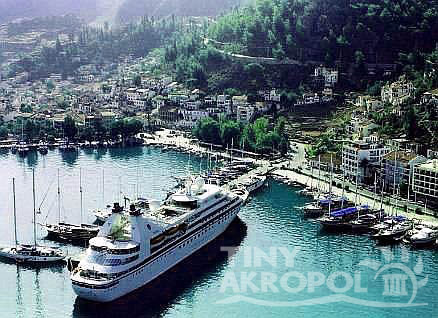 Set on a wide bay strewn with many islands.Fethiye is 135 kms southwest of Marmaris and has an outstanding and busy marina. The ancient name of the city is Telmessos and you will see a fortress on the hill overlooking the city which was built by Knights of Rhodes. 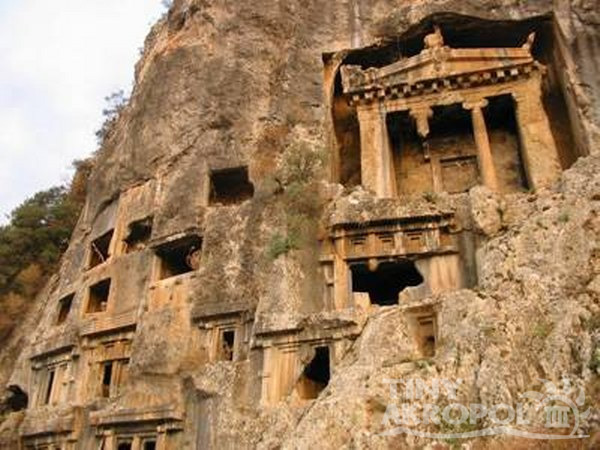 Fethiye is known for its rock tombs carved into the faces of the cliffs by the Lycians. These are elaborately carved and an especially remarkable; one is the tomb of Amnytas dating from the 4th century BC built in Doric architectural style. It is worth well visiting. Other historical places in the city are the Sarcopaghi and the Fethiye Tower. The Beach and the Sovalye Island are real the destinations for those who like to enjoy the most beautiful sea. Belcegiz Bay is also good for such a visit and provides natural mountain scenery. The guest houses (pansiyon) here will give you all the comfort you expect. The bay forms the dreamlike Belcegiz - Ölüdeniz (Blue Lagoon) known as "a paradise that God granted to Earth", a very fine place with 3 kms of natural beach and crystal blue waters in enchanting surroundings. For camping, Belcegiz Beach is ideal, and for picnicking try the Kidiril Park for sightseeing the Gemiler Islands with their Byzantine ruins among the pine trees are recommenced. At Koturumsu, a heaven like beauty awaits you, where you may reach only by boat. There are waterfalls flowing across valleys where thousands of butterflies , exhibiting tremendous shades of colors, fly amongst the pine forest bordering of the lovely beach. Some of the other natural attractions are Katranci Bay, Gunluk (Kusuk Kargi) Bay, Oyuktepe, Göcek with its harbor and marina. Lately, parachuting from Baba mountain became one of the most popular sports and it gives magnificent views for people flying over this great beach lagoon.Around Fethiye, there are important ancient cities of the Lycians. 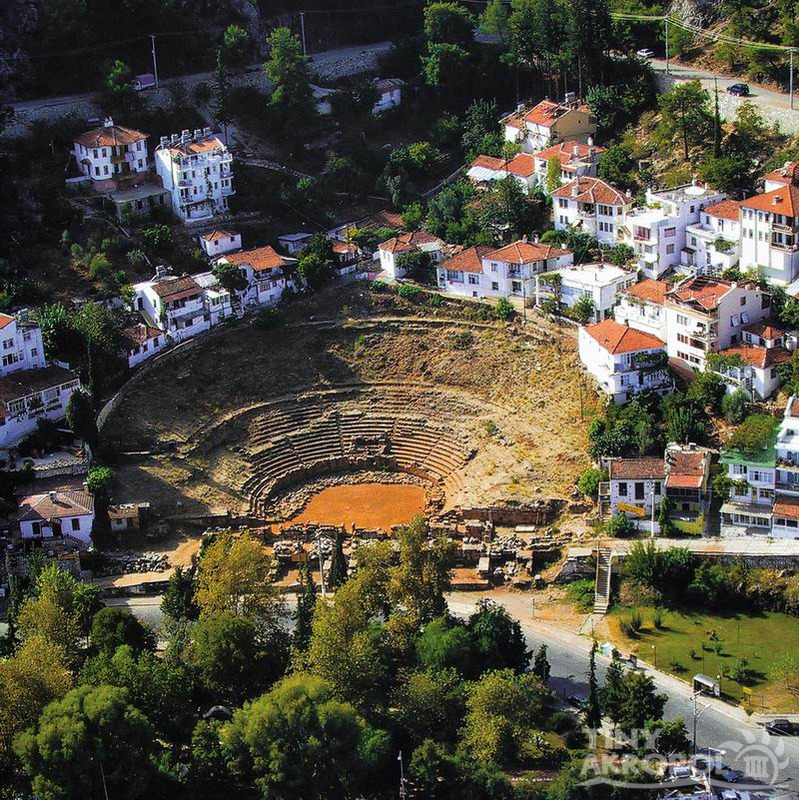 To the southeast of Fethiye lies Xanthos at Kinik village, an important capital of Lycians. Its setting is naturally adorned while Letoon, by Kumluova village and close to Xanthos, is also interesting.Letoon was a cult center during the Lycian period and remains can be seen of temples dedicated to Leto, Artemis and Apollo. Patara by Ovagelmis, Pinara by Minare, Tlos by Doger, Cadianda by Yesil Üzümlü, Sidyma by Dodurga, Karmilassos by Kaya, Pydnai by Kavadere, Araxa by Ören, Lydoe by Kapidag, Lissa and Arsada by Kayadibi, and Daedela by Inlice are other significant sites to visit in the environs of Fethiye. 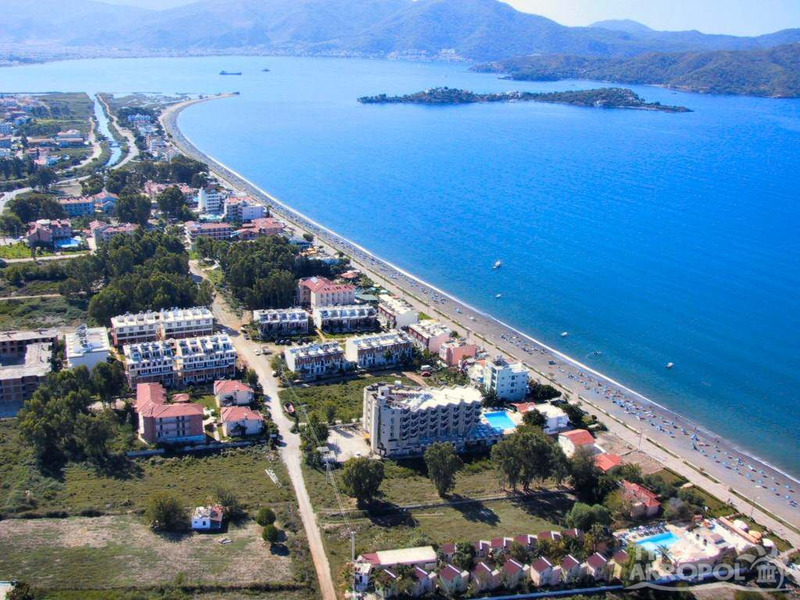 There are also many camping and picnicking facilities around Fethiye.